In 2018 from the perspective of refractories market demand, although the international trade protectionism has become increasingly serious, increasing trade friction event, the main export trade bring many uncertain factors, the downstream industry but will continue to maintain rapid growth in China's economy, infrastructure construction force nor weakened quickly, "all the way along the" construction of econonmy will gradually strengthen, macro economic environment to the good development trend will remain steady. The market demand of refractories will also remain relatively stable, and there will be no ups and downs. Therefore, refractory production enterprises should pay close attention to the following problems while holding fast to the domestic and international markets. 1. At present, it is the best opportunity to standardize market order and improve industrial concentration. 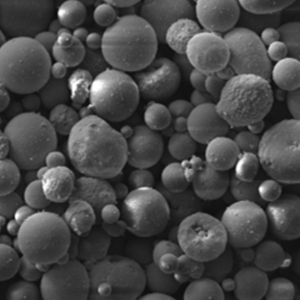 Refractory material is a serious overcapacity industry, which has been in a state of disordered competition since the early 1990s. China's production enterprises are numerous and highly dispersed, which is the main factor causing the vicious competition in the industry. The current market in the direction of gradual standardization, is our further integration and standardization of the material market order of great opportunities. Firstly, some small and medium-sized enterprises are discontinued or eliminated due to market, capital and environmental regulation. Second, the transformation of the business model of the resistant material market leads to the transfer of the market to large advantageous enterprises. At present, the overall contracting business model has the disadvantages such as payment lag, but it has played a positive role in promoting the integration, standardizing the market order and improving industrial concentration. (1) the overall contracting business model of refractory material production enterprise product quality, variety and the ability to form a complete set of design, construction and maintenance of high requirements, transfer to a large advantage enterprise will inevitably lead to the market. (2) large advantage enterprises, after the contract signed by products limited, inevitably choice to form a complete set of products, some small and medium enterprises to form a new mode of cooperation, thus gradually strengthen large advantage enterprise market power. Industrial concentration has increased in recent years, the industry, especially in xiaoyi, Lear and ruitai etc. Several of the listed company, through its own development and joint restructuring, enterprise scale expanding rapidly, made a positive contribution to the ascension of industrial concentration. At present through general contracting business model, and in refractories enterprises begin to form a "strategic partnership" between the business model, also contribute to the improvement of industrial concentration, specification of market order and market power. According to the operating conditions of 2017, the total number of refractory materials in China decreased by 4.13% year on year, while the output of the key enterprises in the material resistant materials increased by 7.2% year on year. The top 10 companies in the top 10 companies have sales revenue of 19.2 billion yuan, an increase of 2.54 billion yuan over the previous year, an increase of 15.25% over the previous year, which also supports the transformation of the material market to large enterprises. The current market competition is mainly in the large advantage between enterprises, we look forward to under the condition of the market tend to cluster, through the consultation cooperation between enterprises, the existing market integration, in order to improve the quality of individual firms and the industry as a whole management as the prerequisite, to achieve mutually beneficial win-win good effect. In 2017, the local governments of the main producing areas have also introduced concrete measures to improve the improvement. The government of yingkou city has set a standard deadline for the discharge of pollutants, and the production enterprises that fail to meet the standards will be shut down. In the meantime, the government of anshan city intends to set up a mining group company to strictly rectify the mining order and achieve the purpose of regulating the mining. At the same time, under the premise of basic guarantee market demand, the total amount of mining will be strictly controlled to stabilize the market order and product price of raw materials. Shandong zibo city has formulated a plan to upgrade the industrial upgrading of refractory materials and cut the production capacity of 3.5 million tons of refractory materials to 1.5 million tons at the same time. Among them, zibo, boshan and zhoucun were moved into the industrial park of 300,000 tons, and the three zones have a production capacity of 900,000 tons. The upgrading of the original plant is up to 600,000 tons, eliminating 2 million tons of steel production capacity. Therefore, through this round of environmental protection, the industry concentration of the industry will be promoted positively. 2. Stable market price of refractory raw materials. In 2017, the state environmental protection regulation was intensified and the process of mineral resources integration, shut down some imperfect environmental emissions standards and mining production enterprise, the shortage of refractory raw material, in the role of market regulation, refractory raw material prices rise from month to month, especially magnesia refractory raw material gains more. 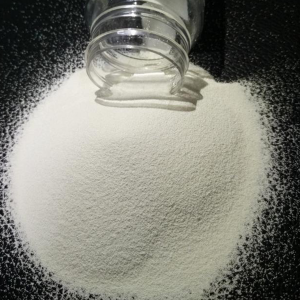 The price of refractory raw materials is rising, and the price of refractory products can not be followed up in time, which has caused a lot of cost pressure to the manufacturers of refractory products. Now, looking back, the environmental protection is strengthened, the price of refractory raw materials is rising, and the concentration degree of the refractory industry is improved, and the market order specification has created the conditions. The first is the strong promotion of the price of refractory products; Second, it is a strong impetus for the recovery of product payment, and it is expected to change to normal operation order. The business situation of the whole industry is not bad, and it is better than the previous years. This should be carefully summarized, and the following problems should be strictly observed. (1) the price of stable refractory raw materials should be stabilized. Refractory raw material, especially the magnesia refractory raw materials due to the serious excess capacity, for a long time under the environment of market competition have small profit operation, follow the rules of market economy, moderate raise prices, make the enterprise get reasonable profit space is necessary, above reproach. So far, the purpose of reasonable profit space for refractory raw material production enterprises has been achieved. Therefore, the stability of the product price is crucial, and the price of the products to prevent the ups and downs. Otherwise the market is confused, the loss is the enterprise interest. (2) start from the source and control the total amount. Start from the source, controlling the total production is the only factor in stable product prices, on the premise of guarantee the market demand, as well as strict controls of ore is mined, and to control the production of refractory raw material, under the condition of market economy can effectively guarantee the product price is relatively stable. At the same time, the product price and product quality should correspond to each other, and cannot be shoddy. (3) strictly control new production capacity. In 2017, the profit of refractory raw material production enterprises is relatively significant, which stimulates some enterprises to increase investment, build new production capacity and expand the scale of enterprise production. We hope that the production enterprise should keep a clear mind and proceed cautiously. The refractory raw material has a serious excess capacity, the market demand is limited, the disorderly expansion capacity, the victim is the enterprise. One is that if the ore is controlled, new capacity will be created without rice. The second is that if the ore is released, the market order will be confused again and the price will fall sharply. Besides the ministry "about to promote healthy sustainable development of refractory industry a number of opinions" the ministry of the original  no. 2003 "rules" to establish perfect new projects and joint reorganization, backward linkage mechanism, the energy conservation and emissions reduction, adhere to the equivalent dose or replacement backward production capacity. We will strictly control the growth of production capacity. 3. At present, the price of refractory products is steadily rising, and the best opportunity period for the steady improvement of enterprise operation quality. Since 2017, strengthen environmental governance in the country's big situation, the refractory material producing local governments respectively formulate a series of pollution emissions policy measures, shut down not up to standard of environmental protection kiln, the refractory raw material shortages, prices keep rising, and the variety of raw materials prices are still expanding. The high cost of raw materials for refractory production enterprises increased and the pressure of production cost increased. It also brings opportunities for price adjustment of refractory products. 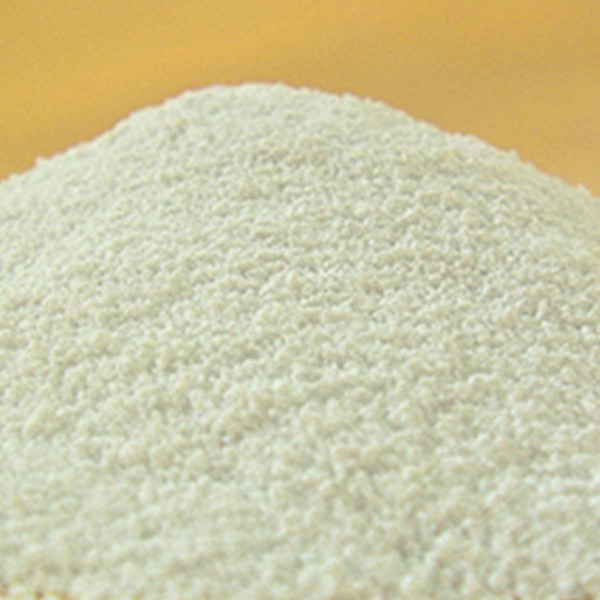 First, the price of refractory raw materials has risen sharply. The manufacturing cost of refractory products has risen sharply, and the reason for price adjustment is sufficient. Second, improve the quality of main downstream industry, in 2017, operating conditions, steel, cement, glass and non-ferrous metal smelting industry profit year-on-year growth of 613.57%, 94.41%, 81% and 613.57%, respectively, have the ability to digest the price adjustment factors. Third, we tried to standardize the market order. In 2017, steel prices rebounded significantly, benefiting from the closure of more than 600 land and steel production enterprises, reducing the production capacity of 120m tons, and the market order of the steel market improved significantly. The small and medium-sized enterprises have been shut down for various reasons, but the market order has not improved significantly, and the phenomenon of the sale of pressure between key enterprises still exists. The association website to third parties on the investigation of 32 for iron and steel enterprise, there are 27 steelmakers agree with the ladle, tundish, iron ditch refractories for overall contracting price increases, accounted for 84.37%, increases 10% ~ 60%, some steel companies agreed to take responsibility for about 70% of the raw materials prices, this is also the result of the refractory material contracting enterprises to actively strive for. But some mills ignore the price adjustment. Now see, refractory products prices are still not in place, together with the investment of environmental protection facilities and start after the increase of operation cost, to increase products production enterprise cost pressure, therefore, refractory material production enterprises should be rational to treat the situation, looking for opportunities in the challenge, follow the rules of market economy, standardize market order, seeking truth from facts in promoting the increase in the price of products, the safe running of the stable industry. 4. The export price of main refractory raw materials is lower than the domestic market price. In 2017, the average price of the main refractory raw materials was increased by 7.00% and 12.62%, respectively, except for the high bauxite and electrofused magnesia respectively. The average price of sintered magnesia, light burned magnesia, brown corundum, silicon carbide and graphite was decreased by 6.72%, 24.55%, 4.83%, 8.2% and 6.24% respectively in 2016. 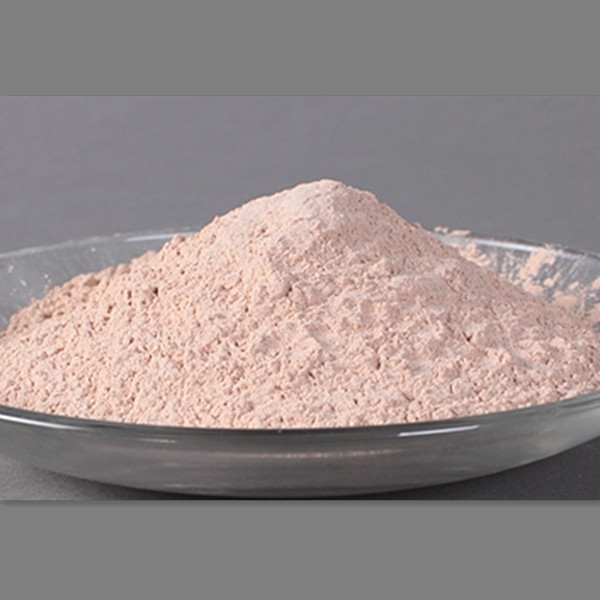 Especially in refractory raw material export prices sharply lower than the domestic market, including aluminum refractory clay, fused magnesia, light burning magnesium powder, corundum, silicon carbide and graphite export average price respectively is 1277 yuan/ton, 3585 yuan/ton, 1426 yuan/ton, 941 yuan/ton, 3853 yuan/ton, 5096 yuan/ton and 4369 yuan/ton. Well below the domestic market price, should cause the whole industry, especially the export enterprises attach great importance. 5. The financing problem is still an important factor affecting the operation safety of the production enterprise. In the past two years, the total amount of goods receivable by the key enterprises has decreased, especially in 2017, but the total amount of goods receivable in the years of accumulation is still relatively large. At present, the main downstream industry has a relatively strong capacity. In the process of going to the production capacity, some enterprises have shut down or gone bankrupt, which has caused considerable economic losses to some manufacturers. Refractories production enterprises, therefore, to ascend to the problem of money to get to know the height of enterprise operation security, strengthening the management of funds, to strengthen trade receivable recovery work, it is to do not add trade receivable; The second is to intensify efforts to collect overdue payment. At the same time, check the amount of the overdue payment with the arrears and make sure that the payment is made to avoid the economic loss of the enterprise during the period of legal action. 6. 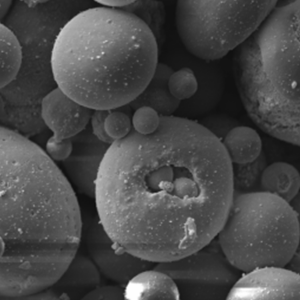 Focus on the development of refractory materials for steelmaking electric furnace. For a long time, China's steel smelting has been mainly converter steelmaking, the proportion of electric furnace steel is very small. With the high-speed development of national economy, the demand for steel consumption increased year by year, so far, our country scrap amount of accumulation has been as high as 8.5 billion tons, recycling scrap steel around 200 million tons per year. The continuous increase of scrap steel leads to a significant increase in the proportion of steel scrap in converter. In 2016, the steel ratio of electric furnace in China is 7.3%. It is reported that, after deducting China's crude steel production, the proportion of global electric furnace steel is 42%, among which the proportion of American electric furnace steel is 62.7%, and the proportion of electric furnace steel in China will continue to improve. Due to the introduction of slag splashing technology in converter steelmaking, the furnace age is high and stable, but the furnace age of the steelmaking furnace is relatively low, which is about 600~700 furnace, and the low is only about 200~300 furnace. Therefore, the quality of refractories for electric furnace is improved, and the product renewal and technological development should arouse the attention and attention of production enterprises and professional colleges. To sum up, the next step of operation situation there are still many uncertain factors, refractories production enterprise to do well of this enterprise production and management at the same time, the refractories market order in 2018 as a specification, improve industrial concentration working years, for the healthy, stable and sustainable development of refractory material industry to make new contributions. Prev:The technology of glass electric melting furnace technology is of great concern.